The second season of AMC's hit "The Walking Dead" is now available for pre-order with a cool zombie head for the blu-ray release. 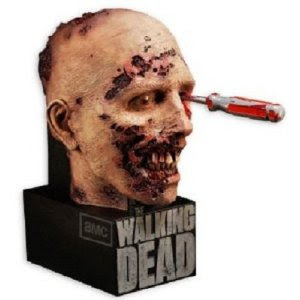 The limited edition zombie head was done by MacFarlane Toys. And is listed at $99 but on sale for $69.99. The set will be released later this year.